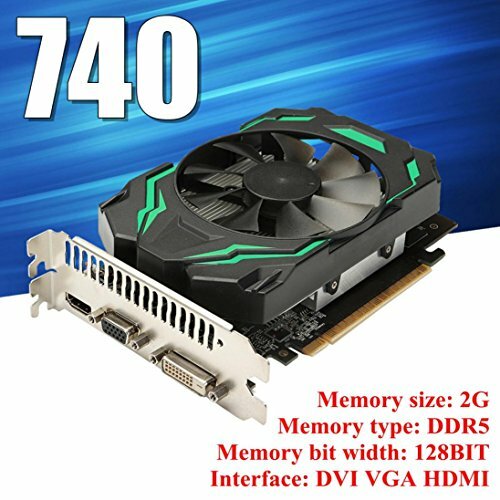 GT740 2GB DDR5 128Bit PCI Express Game Video Graphics Card For PC. Core frequency: 1058 MHz; Memory frequency: 3000 MHz; maximum resolution: 2560*1600. Memory Width: 128BIT; Interface:HDMI + VGA + DVI; maximum power consumption: 70 W.
Stream Processors: 384; Chip Process: 28nm; Interface: PCI-Express 3.0;With cooler fan. This item is researched and made by our company,omitted the intermediate supplier link,so the price is cheaper than the others,please assured,our product is worthy to buy.